Is your septic system producing horrible odors? If so, you might have a big problem located deep inside of your septic system. Nevertheless, you might also have a relatively routine problem that can be fixed within a matter of just minutes. Either way, it’s important to investigate the source of an odor stemming from your septic system. It’s also important to take steps to avoid bad septic tank odors in the first place. Check out some of the simple ways to do it below. When is the last time that you had your septic system inspected by a professional septic system company? If you don’t know the answer to that question, it’s time to schedule an inspection right now. 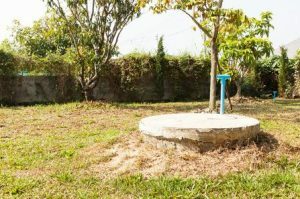 During a septic system inspection, a company can check out everything from your septic tank itself to your drain field to make sure everything is working as it should. Odors can be caused by a backup somewhere in your system, and the only way to prevent backups from occurring is by having your system inspected regularly. Unless you use a garbage disposal in your home, you probably don’t need to have your septic system pumped every year. But you should have septic system pumping done at least once every three years to remove the sludge that builds up inside of septic tanks. Many people automatically assume septic tank odors are stemming from the septic tank, which isn’t always the case, but if you’re not pumping your septic tank routinely, you are eventually going to run into an odor problem. Your septic system is just about always producing foul odors, but you usually won’t notice it when the vents connected to the system are working the way they should. You will run into issues, though, when a vent gets clogged up or disconnected. In addition to inspecting your septic system regularly, you should also inspect your home’s vents to make sure they are equipped to carry odors as far away as possible from your home. Have you noticed odors coming from your septic system? If so, Carolina Septic Pro can come out to your home and figure out where those odors are coming from. We also help you prevent odors from affecting your home in the first place by conducting a septic inspection for you. Call us at 704-626-6622 today to schedule one.